We had a lovely weekend of celebration. Some friends came over and we had a hippo party (which he got a kick out of) and then we took a little day trip on Saturday. He had a great day and we had fun together. I love birthdays. I think I've mentioned that a time or two! It was wonderful to celebrate his with him. #3 - We had a really fun family night out on the town earlier this week. We took the kids to a local Indian food restaurant which is kinda risky for a 1 and 4 year old but they gobbled it right up -- and gulped water down like nobody's business! ("Mommy, did you know that when you drink water it makes the spicy disappear?") It was just a fun, relaxing night out of the house. Of course, we ended the evening at the local bookstore so who am I to complain? #4 - Marriage. Some friends of ours celebrated their 47th wedding anniversary this week. We just love this couple and are so thankful that they are in our lives. They encourage us, celebrate with us, "get" us and just live life right beside us! We've a long way to go before we reach 47 years but we have an excellent example to watch in the meantime! #5 - The prayer support of faithful friends. Sometimes things just pop up in your life and you want to know that you can turn to a set of friends and ask for prayer and believe that they will honor your request. That's a huge and tremendous blessing! I'm so grateful to know that when the chips are down, I can make a quick phone call or shoot of a quick e-mail and my needs are being acknowledged and prayed over. I'm not alone. There is something beautiful in that and I find myself closing the week out on a peaceful and blessed note. Hope you all enjoy a great weekend! I'm also thankful for the example of long-lasting marriages & praying friends! Sounds like a wonderful week. Happy birthday to your son. Great cake!! 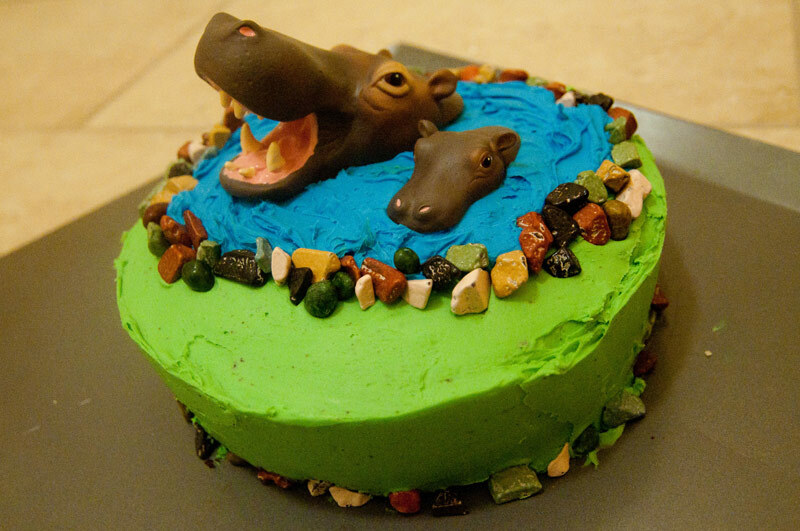 I would not have known where to start with a hippo cake, but that is brilliant. I love birthdays, too, and I'm glad you got to celebrate with a hippo cake and party and a day trip. Amen for numbers 4 and 5. Love that hippo cake - so cute! Does Bookworm like that game, Hungry Hungry Hippos? My kids sure did! It is a real blessing to have friends you can call on when you need prayer. Everyone needs a church family for just such a time! What an incredible cake. I could never make one like that. You just gave me a new idea for a book to read to my kids! The hippo cake is gorgeous! How did you do that? Glad that you had a happy celebration! As Barbara H said, Amen to #4 and #5! Amen on the chips-are-down prayer warriors! what a wonderful list I'm going to have to do this linky next week. checking library right now to see if we have that book looks right up my 4 year olds alley! That also looks like a book I would enjoy. Love the cover! Prayer support, celebrations, and good spicy food. sounds like one great week! Love the cake, I could not picture it so it's great to see the picture. LOVE it!!!!!!! Precious cake! 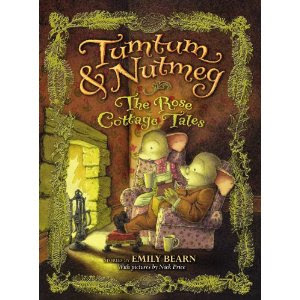 I've got to look up the TumTum books for my grandson. I know what you mean about that prayer support. It's a real blessing to have friends you can count on to pray for you, isn't it? Loved hearing about your boys' excitement over reading!! LOVE IT! The cake is awesome! Are those little toys in it? Wow, 47 years is a long time! That hippo cake is INCREDIBLE! Wow. Your Indian food night sounds like it went over well. I don’t know how my kids would do with that. Ha. 47 years is wonderful for your friends' marriage. Definitely a reason to celebrate. I don’t know what I would do without my friends praying for me. Definitely a favorite…every week. Hope you're having a great weekend. Forty seven years. That is amazing! That's a charming book. Love the cover. Happy birthday to your son. That cake is adorable! Are those candy rocks? We are going to Newberg in 2 weeks to visit Brian's sick grandma and while there meeting with the pastor and his wife who married us. We haven't been able to find a couple here that we could just "be" with and I think we really need that more than anything. I almost wonder if it wouldn't be something worth moving for. Our church is huge, but they don't do mentoring. Lame. Very cute cake! For some reason I was confused about Bookworm 1's birthday. I thought it was near Ellie's in August. But no, he's 4 (like Ellie) with a birthday near Sam's (end of Oct.). Sounds like you had a fun party.